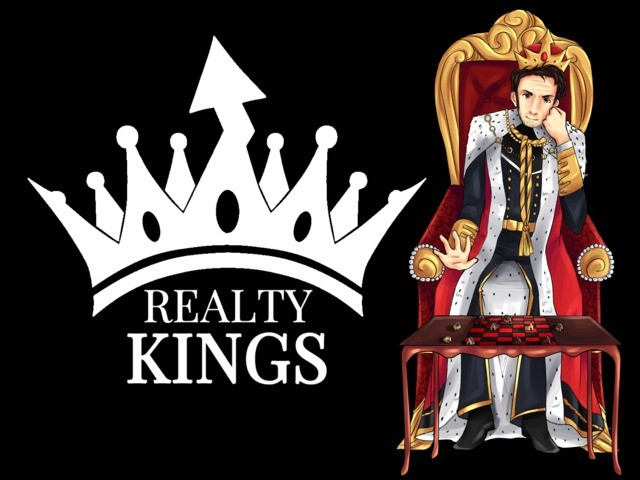 Realty Kings is a free to play game about buying and selling real estate. 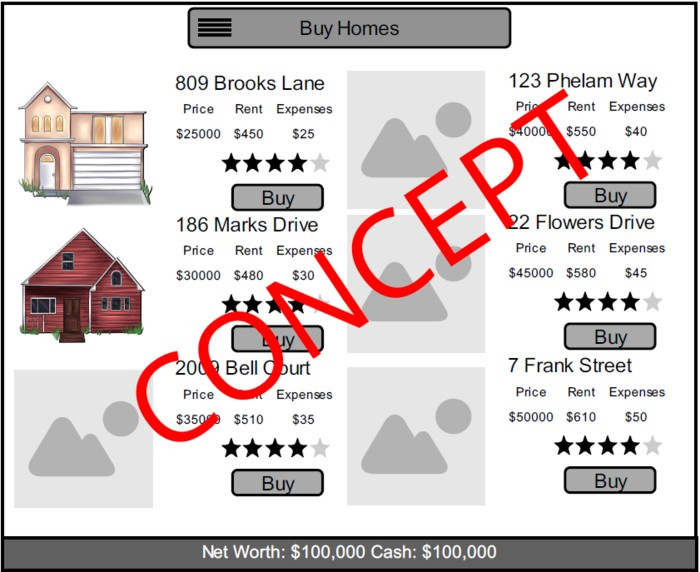 Created by a team of students, this game hopes to offer an educational experience for all ages. 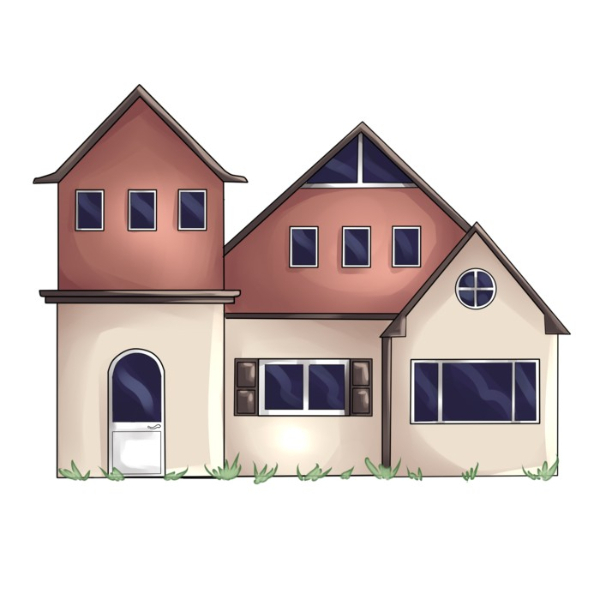 Troublesome Tenants: You will be able to rent your properties to a selection of NPC tenants - but beware, some tenants are more reliable than others. 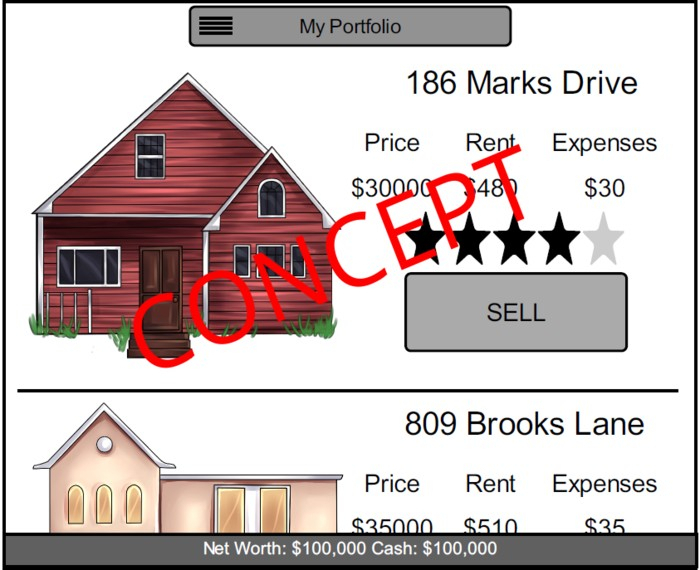 Mortages: Basic and realistic mortgage modes allow players to experience the system and balance borrowing and spending. 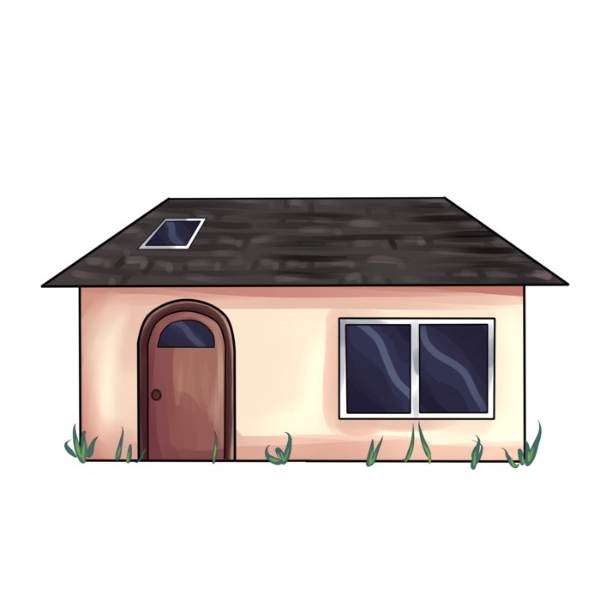 In-Game Events: Static and dynamic events makes every in-game day a different challenge, based on tenants, upkeep, and more. 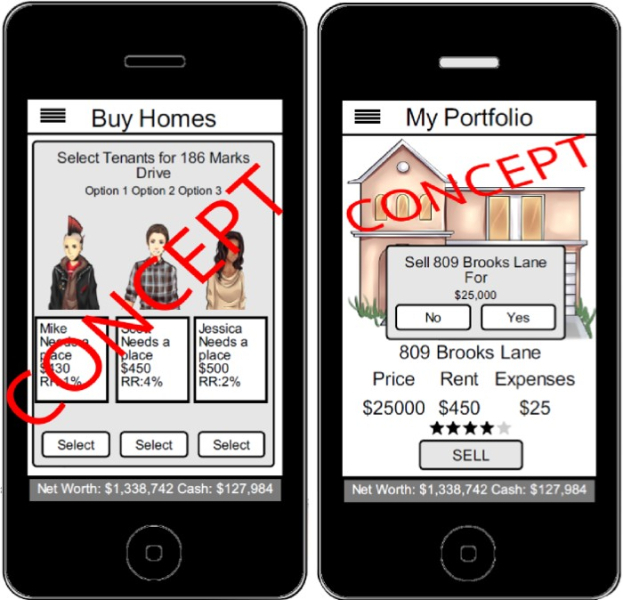 Multiple Game Modes: Play a basic, realistic, or educational version of the game - each mode has additional benefits and features to enhance the player's experience.